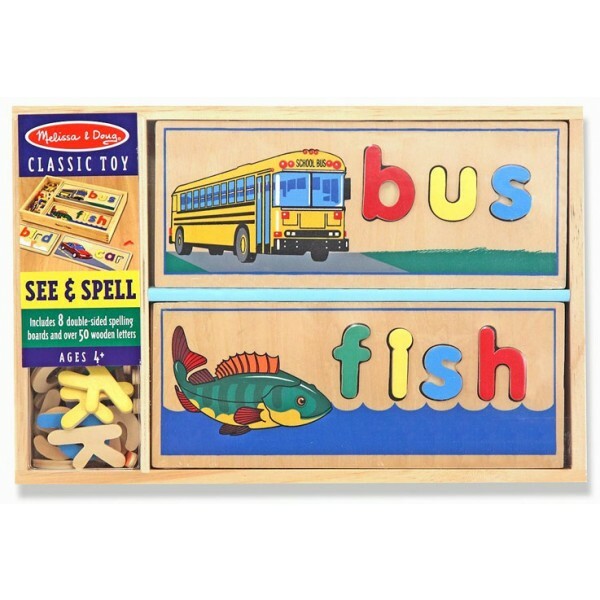 From Melissa and Doug, this wooden spelling kit helps develop literacy skills and encourages letter play.Place the colorful wooden letters in their proper places to spell words on the cut out two-sided wooden boards. 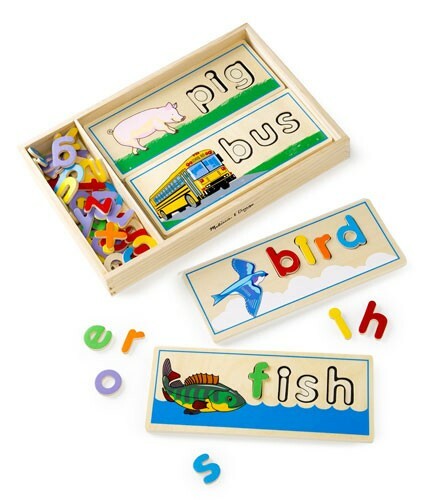 Includes 16 playful pictures with three and four letter words to keep learning fun. 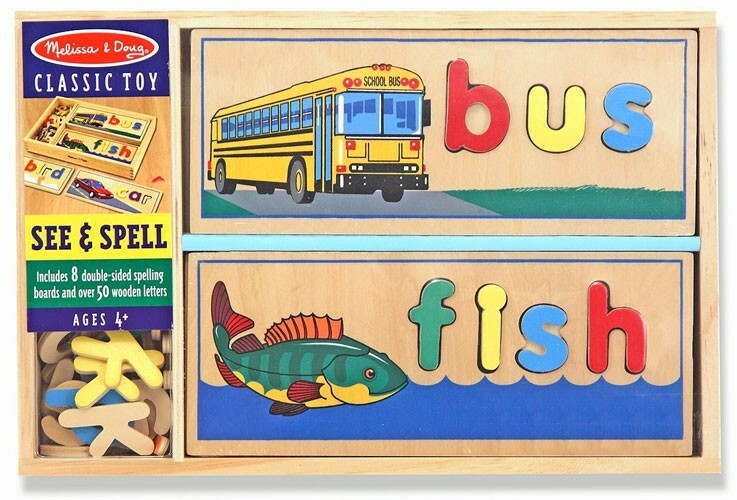 Includes over 50 letters.